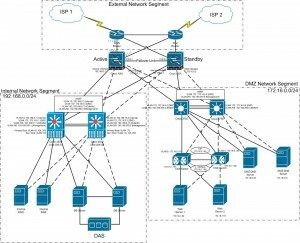 Shows examples of router redundancy / failover capabilitiesat Layer 3 and also Layer 2 spanning-tree root bridge configuration to enable pseudo-load balancing by using PVST. Cisco announced more details on its plans to bring IP routers to the world of satellites (or shall we say ‘solar system of satellites’?). If you want to practice radius configuration, or if you are testing a Cisco RADIUS setup without having access to the production server, here is a nice solution and sample config.